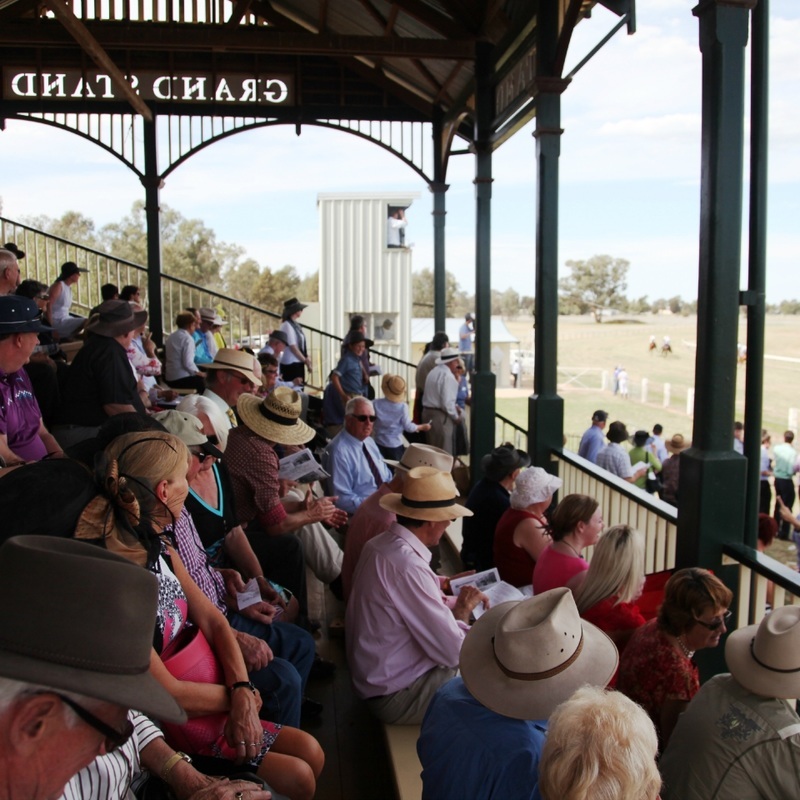 Lockhart Picnic Races are a BYO race day. Trackside bar is also available on the day. Umbrella and Marquee Packages are now available for 2018. Gate entry is $20 per person, under 16 years is free. Become a member for discount tickets, more info on our Membership & Entry page. available on site. Both are available in the town of Lockhart. Ex-Servicemen's Club, Green St, Lockhart on the day. Lockhart Picnic Races stubby holders will be for sale on race day for $7. Racebooks are also for sale for $5. Make sure to get yours to remember the day! Christmas Parties, Work Functions, Reunions or Friends Catchups! 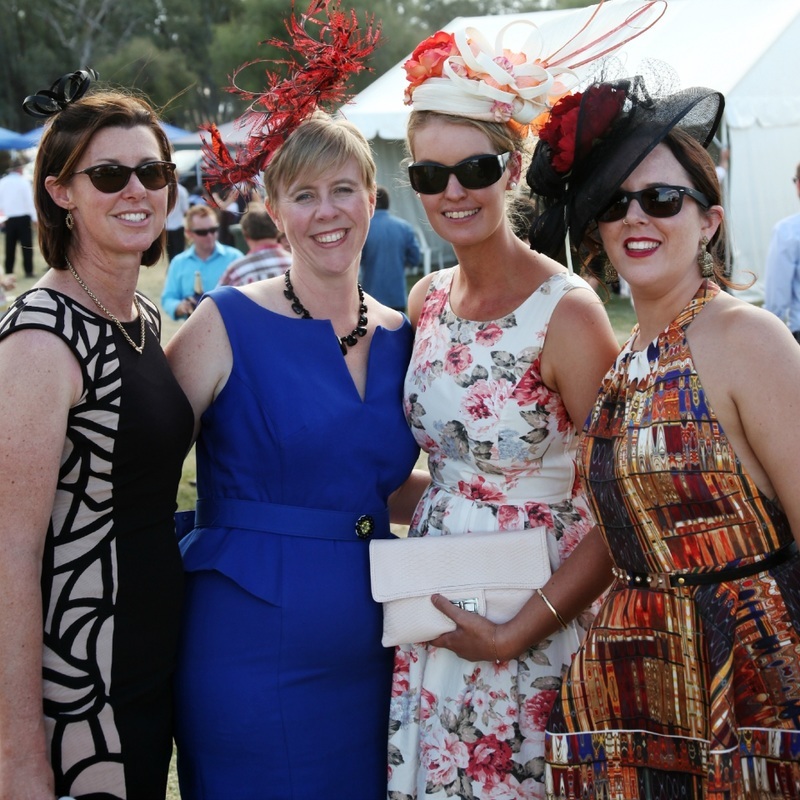 Have you thought about having your work, friends or family function at Lockhart Picnic Races? Or any other party or gathering? We offer the following options to help you celebrate in style. Umbrella & Marquee Packages: We have a range of packages available. 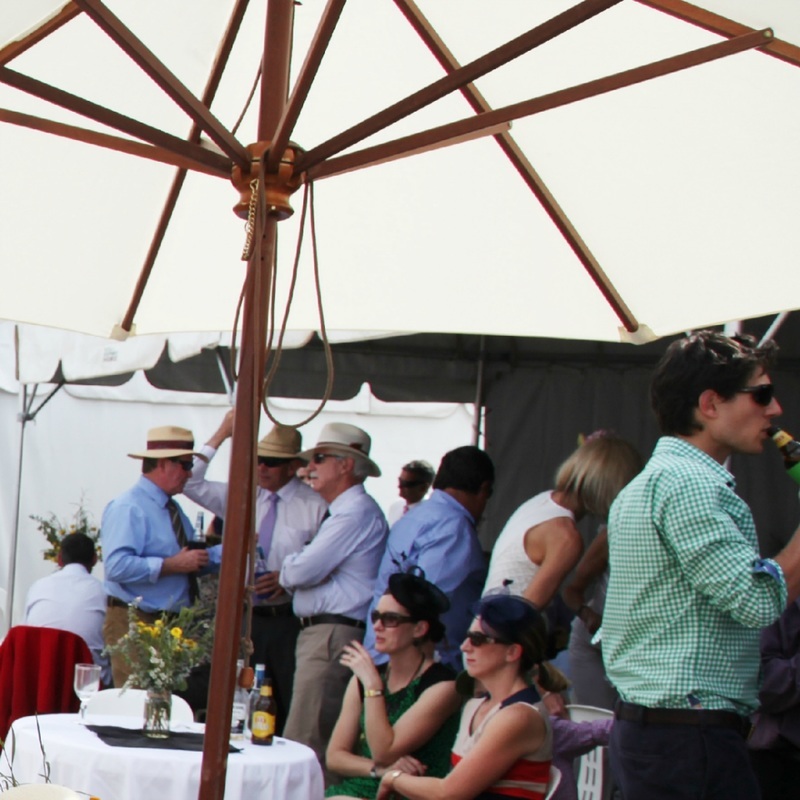 Simply choose your preferred option, pay prior to the races and your Umbrella or Marquee will be setup, ready and waiting for you on race day. Either bring your own food and drinks, check out our catering options or visit the on site food vans and bar. How easy is that! More info including catering options, is available on the Umbrella & Marquee Packages page. Members Area: Become a member and you will receive a site and a car pass to set up your gazebo. Ideal for smaller parties as space is limited. Contact us for more info on reserving sites and organising discount prepaid entry tickets. The Membership & Entry page has more information and application forms for membership. Remember, we are open to negotiation. We can also help out with catering and prepaid discounted tickets. Contact us if these options don't sound like they will work for you and we will do our best to accommodate! The annual Calcutta will be held on Thursday 4th October 2018 at the Lockhart Ex-servicemen's Club from 8pm. More information to come closer to race day.